Today we have what is probably my favorite new book of 2018. 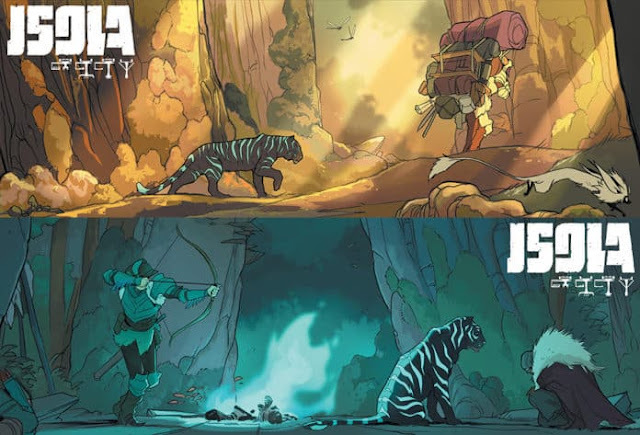 Image comic's Isola, which sees creators Brenden Fletcher and Karl Kerschl reunite after working together on Gotham Academy for DC, with series colorist Msassyk and letterer Aditya Bidikar. The art in this book is simply gorgeous, and the story is wonderful in it's minimalism. It's character driven and magical at the same time. In many ways it draws favorable comparisons to the work of Studio Ghibli. Both Kerschl and Fletcher have cited Hayao Miyazaki as an influence on the tone of Isola and it shows throughout. The story suggests a deeper world beyond these characters while still grounding everything in a very intimate relationship between the characters. The story itself centers on Queen Olwyn, and Rook, her captain of the guard. 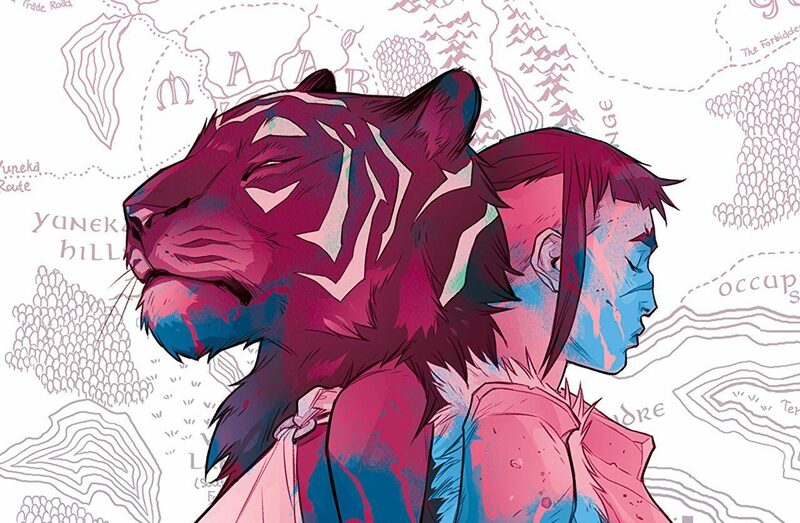 They find themselves on a journey to the island of Isola in hopes of reversing a curse that transformed the queen into a tiger. The panels are expertly crafted, and the story avoids too much exposition, instead preferring to show the world through it's central pair and their journey. It's best panels are often those without words. While that Means that the story relies on the art to convey both emotion and action, when the art is this good, that isn't an issue. The first trade paperback is now available, so it's a great time to get into this book.